Andy was fantastic, super efficient and nothing was too much trouble. The bouncy castle and the ball pit provided were top quality and nice and clean! Couldn't recommend enough! This pristine, white inflatable is unique to Exeter Bouncy Castles. 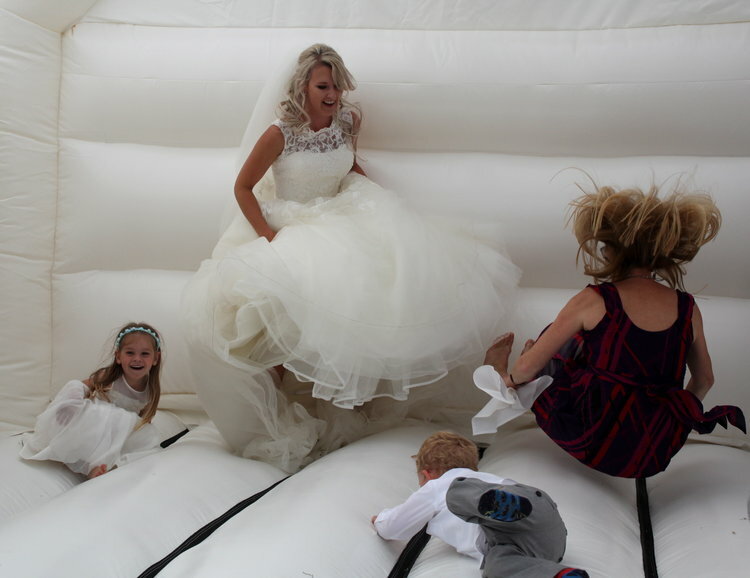 In the past we have found that the average bouncy castle can detract from the other decorations and theme of a wedding. 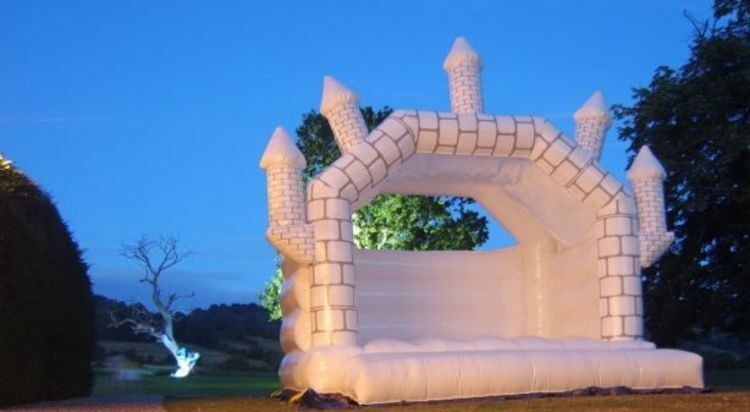 This castle will keep the children and adults entertained for hours, enabling you to enjoy your special day. It has a large bouncy area and a built-in rain cover, so a drop of rain will not spoil the party. We replace this inflatable every year with a brand new one so this inflatable will be in superb condition for your wedding day.